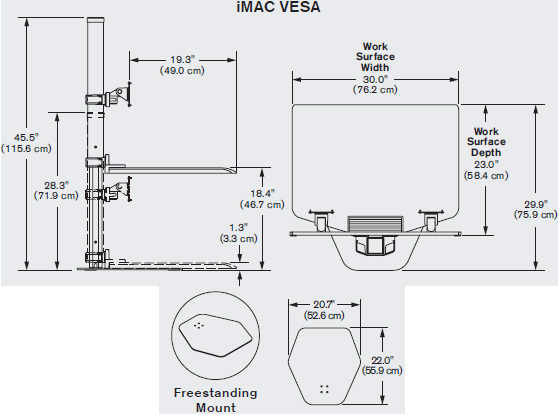 For NON VESA compliant iMac, please order 8502 iMac Stand under "Mounting Kit"
Innovative WNST-APL-1 Winston for Apple iMac Single or WNST-APL-2 Apple iMac VESA Dual is a sit-stand workstation designed for iMac users with a VESA-compatible Apple iMac monitor. Locking cylinder provides stability while working. Expansive workspace is large enough to hold all necessary work tools. Upgrade your space - Retrofit your existing desk into a healthy workspace.